One easy decoration that can be used in a variety of ways in the fall are acorns. Here are some great ideas for what to do with acorns. Have fun with the kids and make these acorn pumpkins from Family Fun. I’ve made these with my kids and they loved this easy fun fall craft! 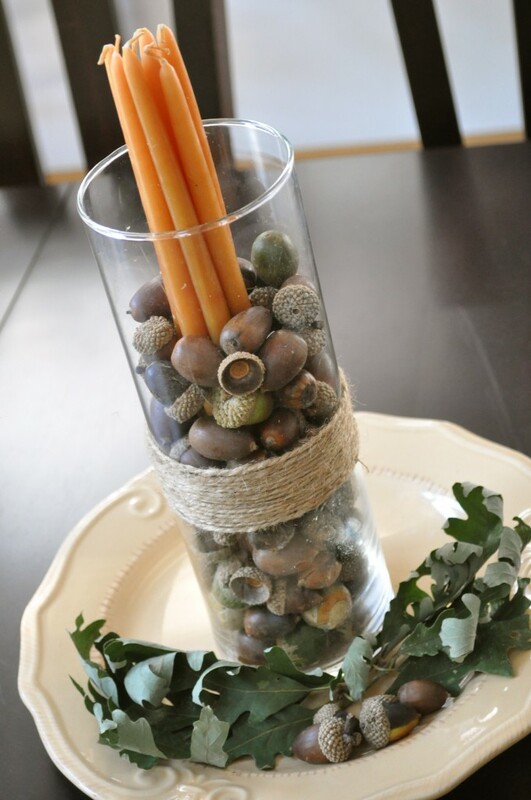 Make fall centerpieces like this one from Make and Takes. 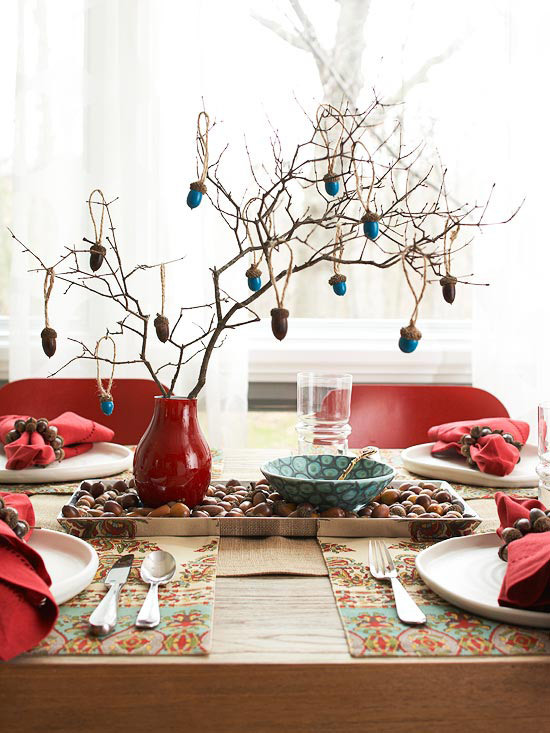 Here is another great centerpiece from Better Homes and Gardens using tree branches and painted acorns. This beautiful Acorn Cap Ornament would be a great Christmas decoration or it would be beautiful to use at a fall wedding. You can find the tutorial for this at Sweet Something Designs. These tasty acorns are made from doughnut holes from Gracious Rain. Another easy acorn treat are these chocolate acorns made from Hershey Kisses and Mini Nilla Wafers found via Design Dazzle. 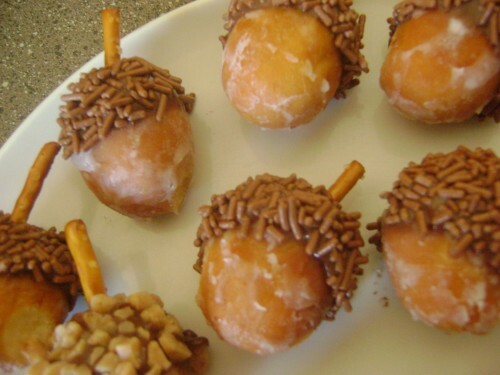 love the doughnut hole as acorns!